While you are searching for a fabulous place to spend your summer vacation, Greece is the perfect destination ever. There lots and lots of places to visit and activities to enjoy such as the charming sandy beaches especially the Aegean Sea. 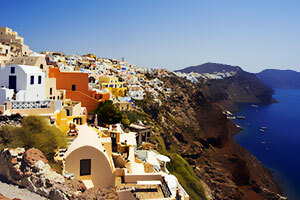 However, if you want to spend a romantic honeymoon, Santorini Island is a perfect place. You will love the charming caldera and the amazing sunset. Also, you can enjoy the Mykonos Island, Rhodes Island, Kos Island, and many other stunning islands.